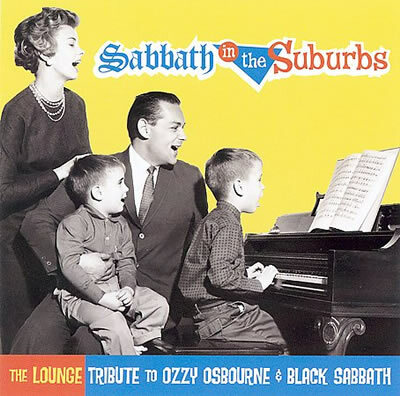 Sabbath in the Suburbs – by the Lounge Brigade. A lounge-cocktail album with only Black Sabbath songs (the cover says it all). From a rhumba version of ‘Paranoid’ to a swing-version of ‘Sabbath bloody Sabbath’. I am a sucker for strange albums like this, and it warms my heart to see that there are still musicians out there who produce them. In this case it is produced by Joe Ferry. Now Who is Joe Ferry you ask? It is truly sickening to see his credentials. more info about this CD.